THE Indian History Congress, the major forum of Indian historians since 1935, was due to meet for its 79th session at the invitation of Savitribai Phule University, Pune, on December 28-30, 2018. About 1,500 members had paid delegate fee of Rs 2000 each by December 1, the last day set for it. But on December 10, barely a fortnight before the session was to be held; the host university announced that they would not be able to hold the session. No satisfactory reason was offered, though the university must have taken this decision much earlier since no accommodation at all had been booked for delegates. It was, therefore widely suspected that the last-minute decision was a mere pretence, and there was some advance planning involved in order to embarrass the Indian History Congress and harm its reputation. The refusal to hold the session caused much loss to the delegates over the cancellation of their travel tickets, while the Pune University has been very tardy over returning their delegate fees. Much credit goes to R Mahalakshmi (Professor in JNU), secretary of the History Congress, and her colleagues in making alternative arrangements for the 79th session. The Madhya Pradesh state government and the Barkatullah University, Bhopal, came forward to help out the History Congress, with an invitation to hold the session on February 26-28 at Bhopal. It was natural that the shift in dates would greatly affect the number of delegates attending the Bhopal session since at this time many university and college teachers cannot get leave with examinations being so near. Thus where in Pune about 1500 delegates were expected, at Bhopal the number did not exceed 600. While for the sessions, 883 papers had been received, only 377 were actually presented at Bhopal. The History Congress also suffered a severe loss by the sudden passing away of its general president-elect, Sushil Chaudhury (Kolkata) in January. 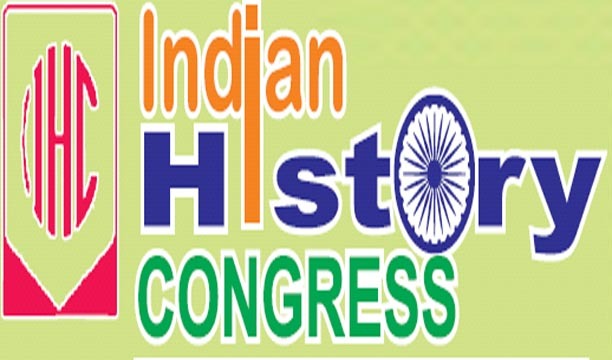 The Indian History Congress at Bhopal opened with its inaugural session on February 26. The late Professor Sushil Chaudhury had already sent his address, which was printed and read out at the session. In it, Sushil Chaudhury argued, with rich presentation of data, that in Mughal times and even in most of 18th century, it was not trade with Europe, but the trade with different parts of Asia which accounted for most of India’s exports and imports. It was; therefore, wrong to hold that the ‘opening up’ of trade with Europe had the major effect on Indian economy in Mughal times as is so often claimed. The Minister for Higher Education of MP delivered a short speech; he was followed by Digvijay Singh, former CM of MP, who it is believed, had greatly aided in facilitating the hosting of the History Congress session at Bhopal. In his speech he highlighted important features of the history of Madhya Pradesh and also insisted that an objective and secular approach to History be followed. At the inaugural session a number of endowed prizes were awarded on selected papers from the proceedings of the 78th session. One prize winner, Laxman D Satya came all the way from US to receive the ‘M Athar Ali memorial prize’ for the best paper published in the proceeding of the 77th session. The History Congress then divided into six sections, where all papers were to be presented. The meeting of each section began with the delivery of the presidential address of respective sessions. O P Srivastava (Allahabad), presiding over section I (Ancient India), in his address offered a detailed survey of prices, markets and money in early India, using a very large range of textual and epigraphic sources. K S S Seshan (Hyderabad), presided over section II (Medieval India), and in his address dealt with the slow progress of education under the Asaf Jahi dynasty of Hyderabad. Section III (Modern India) continued to be the section attracting the largest number of papers. Its president, Ravindran Gopinath (Kannur), critically surveyed the work on modern Indian demography, calling for its integration with general historical research. Manoranjan Mohanty, president, section IV (Countries other than India) had his address, which was read in absentia, emphasised the importance of intercultural exchanges, as developed by India’s famous sinologist, Tan Chung. The presidential address in section V (Archaeology) by Sushma G Deo (Pune) was also presented in absentia. It dealt with the dating of acheulian sites in Maharashtra, one of which (Morgaon) could be as early us 0.8 million years ago. C P Chandrasekhar (JNU) presided over section VI (Contemporary History) and his address dealt with the problem posed to India’s real growth and employment situation by the excessive growth of the service section. It is clear from the number of papers presented that more should be done to develop work on history of countries other than India (only 22 papers) and in Archaeology (only 18 papers). Few Indian universities have master’s and research programmes in these fields; and such indifference to these vital academic branches cannot but be reflected in what is offered at the History Congress. There is a welcome revival, however, of interest in the history of the national movement, for some of the recent sessions had seen a surprising drop in the number of papers dealing with aspects or episodes relating to it. The Indian History Congress at every session holds two functions, the S C Misra memorial lecture on the evening of the first day and a symposium on the second evening. At Bhopal the S C Misra memorial lecture was delivered on evening of the first day by Aditya Mukherjee (JNU) on ‘a re-look at the 19th century and the great divergence’. The symposium, the next day had as its theme ‘myth and history’ and the speakers were H S Shivaprakash, Shireen Moosvi and Suchita Mahajan. The theme had current significance in view of the BJP’s effort to mix up history with myth. A very welcome feature of the Bhopal session was the number of panels on various themes organised by it, such as the one on Mahatma Gandhi, on the history of Madhya Pradesh and on dalit history. The Aligarh Historians Society organised a panel on makers of India (Ashoka, Akbar, Ram Mohan Roy and Jawaharlal Nehru). These were uniformly well-attended, with usually good discussions. The session concluded with a general body meeting on the afternoon of February 28. The GB unanimously approved five resolutions proposed for its consideration by the executive committee. The first resolution mourned the death of the 40 CRPF personnel killed in a terror attack in Jammu and Kashmir. While welcoming any step to prevent such terror attacks, the resolution held that ‘it is equally urgent to abstain from any step contributing to discrimination against or alienation of the people of Jammu and Kashmir’. It expressed the hope that the people and the government of Pakistan would also act to restrain terrorist incursions into the territory of India. By a second resolution, the History Congress expressed its sense of gratitude to the Madhya Pradesh government and the Barkatullah University for coming to the aid of this organisation in the crisis created by the Pune University’s authorities by their sudden cancellation of the 79th session. By the third resolution it called on the Savitribai Phule Pune University to return punctually all the money, including delegate fees from History Congress members, which it had received. It regretted the delay that was taking place in such reimbursement. The History Congress felt that the Barkatullah University should have a well-staffed and well equipped department of History which it was still lacking. Finally, by the fifth resolution the History Congress called upon the Indian Council of Historical Research to expedite the publication of the volumes of Towards Freedom that are still lying with it for quite some time. The executive committee elected Amiya Kumar Bagchi as president of the next session of the History Congress. Irfan Habib and K M Shrimali were elected vice-presidents. The present team of office-bearers, comprising R Mahalakshmi (JNU), secretary, Burton Cleetus (JNU) treasurer, and Jogendra Prasad Rai (Dumka) and Bodh Prakash (Delhi), joint-secretaries were re-elected for another term. The executive committee also elected the following sectional presidents for the next session; Suchandra Ghosh (Calcutta)- section I, Ancient India; Farhat Hasan (Delhi) –section II, Medieval India; M D David (Mumbai) - section III, Modern India; B R Deepak (New Delhi)-section IV, Countries other than India; Selval Kumar, (Thiruvananthapuram)-section V, Archaeology; and Zoya Hasan (Delhi)-section VI, Contemporary India. Twenty executive members were also elected unopposed. The delegates will long remember the hospitality with which they were received and the accommodation provided to them at Bhopal. Also to be recorded is the enthusiasm in working for the History Congress exhibited by the team of JNU student volunteers.